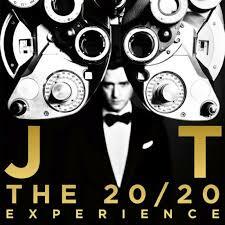 Justin Timberlake : The 20/20 Experience album download | Has it Leaked? It's been seven years since Justin Timberlake released his album FutureSex/LoveSounds. Through a series of teasers new album The 20/20 Experience was announced at Justin's website. Justin also premiered Suit & Tie, which is a brand new track lifted for the upcoming album. The track features Jay-Z and was produced by Timbaland. No word as of when Justin will release the new album, but it's set for 2013 nonetheless. Justin has stated the following: "This year is an exciting one for me. As you probably have heard through the "grapevine," I'm gearing up for a big 2013. The inspiration for this really came out of the blue and to be honest, I didn't expect anything out of it. I just went into the studio and started playing around with some sounds and songs. It was probably the best time I've had in my career... Just creating with no rules and/or end goal in mind and really enjoying the process." The 20/20 Experience is undoubtedly an anticipated album. Sign-up for any leak download updates below. 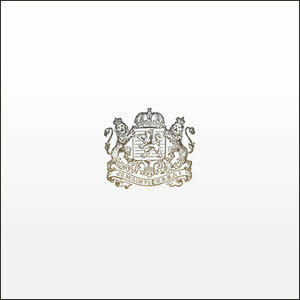 The album is now updated with the official album cover and the track "Mirrors". The official video for "Suit & Tie" has been added, which is directed by David Fincher - The man behind The Social Network movie which Timberlake starred in. It’s streaming for free on iTunes now so guess it has officially leaked. You guys, if the last 5 comments say that the albums on iTunes for streaming, can you assume that we can read so we don’t see 20 of the same comments? Anyways, I’ve heard it and there was just something about “DON’T HOLD THE WALL”. But yeah, my favs were that, Tunnel Vision and Blue Ocean Floor. Definitely gonna buy the album now. Only good song was the single. Figures. You must not be hearing the same thing everybody else is hearing. He’s gonna sell at least a half a million in a week. The Album Is A Masterpiece I Loved ”Strawberry Bubblegum” , ‘Let The Groove Get In’ & That Girl ! The Target deluxe bonus songs are awesome, should have been included with the retail release! After all the waiting I am sooooo disappointed with this effort. Futuresex/Lovesounds was hands down one of the greatest r&b albums of all time – I still listen to it regularly today. I’ve had The 20/20 Experience on repeat in my car for a few days now & I just hate it. Terrible effort. I’ve taken the CD out and replaced it with his previous album. My advise to JT is ditch JayZ & get on your hands and knees to Timberland and beg him to produce a whole new album asap! If JT tours with this album I will only buy tickets if the majority of the setlist is his older stuff! The 20/20 Experience certainly was an experience – just not a good one. 2/10. fsls was an OK album with some standout tracks, this overall is a better album. my only crit of this album would be if danja and timbaland had produced the album together. like they did on Nelly furtados loose and shock value. Timberland did most of the production on this lol Jay-z spit one verse on the whole album, and that’s it, aside from a whole bunch of tracks that haven’t seen the light of day yet. He had minimal input on the album in general though. Really cool sounds etc, but I would have wanted at least one hit song! Timbaland is over. Justin needs to work with somebody else. Suit And Tie is wack! I hate it. Blue Ocean Floor is great and Let The Groove Get In is so nostalgic!